Soumyadeep Chatterjee 1 month, 4 weeks ago. You can now download and install LineageOS 16 for Galaxy J5. Here is how to install LineageOS 16 on Galaxy J5, with a step-by-step guide. 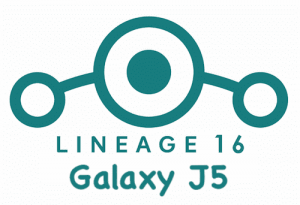 This build of LineageOS 16 for Galaxy J5 is brought to you by developer Dyneteve. THIS IS AN INITIAL BUILD OF Galaxy J5 LineageOS 16 WHICH MAY HAVE MINOR BUGS. Installing a TWRP recovery on Galaxy J5 may delete all your data. Before proceeding further you may consider backup all data on the phone. Download and Copy the LineageOS 16 Gapps and the Galaxy J5 LineageOS 16 ROM ZIP file to your phone. Boot into the TWRP custom Recovery to install this LineageOS 16 for Galaxy J5. Install the Galaxy J5 LineageOS 16 ROM file that you have copied into the phone. Reboot and Enjoy the Galaxy J5 LineageOS 16 Android 9 Pie ROM. 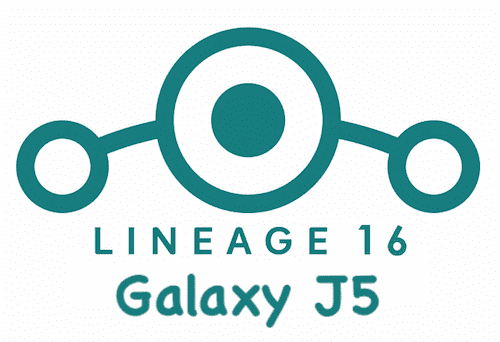 Install the LineageOS 16 ROM for Galaxy J5. If you don’t have GApps after upgrading the LineageOS 16 on Galaxy J5, then flash the GApps. If you don’t have ROOT after upgrading the LineageOS 16 on Galaxy J5, then flash the SuperSU or Magisk or the Lineage SU binary. Once everything is done, reboot and Enjoy the LineageOS 16 for Galaxy J5. Complete the initial setup and enjoy Android 9 Pie with LineageOS 16 on Galaxy J5. Stay tuned or Subscribe to the Galaxy J5 (j5ltexx) LineageOS forum For other Android Pie, Android Oreo ROMs, Nougat ROMs, or other ROMs and all other device specific topics. Thanks for the ROM ! Volte don’t work on any lineage is please fix it please please and please. And can you add screen calling feature and gcam with HDR+ and nightsight one as inbuilt camera please !!! I installed the rom on the J500M (lineage-16.0-j4-20181117-NIGHTLY-j5lte). It’s working fine on the device. However, to configure the buttons (Settings> System> Buttons), there are only options to configure the power button and the volume button, there are no options to configure the home button. So, if the screen phone is off, only the power button can turn on it; the home button will not take any action if the screen is off. I have other devices with lineage 16.0 and this configuration is present in them. Is that a bug? Or the home button setting is somewhere else? I am getting an error code 7 on my Galaxy J5 2015 a.k.a j500f. Can you please help me out of it cause I really want to try pie and in no mood to buy a new handset for that. What is the TWRP version that you are using?? Can you update the TWRP recovery on your Galaxy J5 and try this LineageOS 16 ROM once again and tell me what happens. Which TWRP version are you using?? Can you update to the latest available TWRP for J500h and try flashing this LineageOS 16 ROM build?? can’t wake my device with home button. help me with this.